This disclosure statement explains the relationship between Best-Big-Island-Hawaii.com and our advertising partners. The goal of Best-Big-Island-Hawaii.com is to provide the very best advice, tips and recommendations to Big Island visitors. We strive to give candid, personal, well-researched and free information to help visitors get the most out of their trip to Hawaii. We hope you find the information we provide to be useful and entertaining. 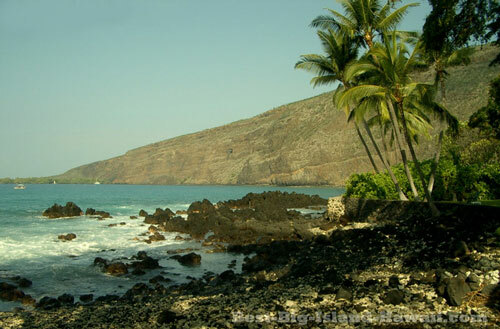 Best-Big-Island-Hawaii.com is an informational website provided free to all readers. All of the content on the site is written and maintained based on personal experience and extensive research without direct compensation of any kind—that is, no one pays for the site’s content to be written. We hope you’ve noticed that we avoid the kind of annoying and intrusive ads that you find on so many web pages. We hate when we can’t find the information we’re looking for online because of ads that get in the way and we don’t want anything to get in the way of you learning all about the Big Island. But in order to keep providing the best and most up to date information possible (and always for free! ), we do rely on several sources of income including pay-per-click advertising and sponsorships from various businesses. Pay-per-click advertising appears on some pages and provides us a small commission when visitors click on advertising links relevant to the information we provide. Sponsorships are relationships that we have with local companies on the Big Island that provide various products and services to visitors. We reach out to and build sponsorship relationships only with companies that we know and trust to provide the best services and products to our visitors. These companies pay us to feature their products and services on the site but we would never recommend any product, service, or company that we didn’t truly believe in. All of the reviews and recommendations that we provide throughout the site represent our honest opinions about how we think our visitors can best enjoy the Big Island of Hawaii. For more on the informational nature of this site’s content, please read our disclaimer. If you have any questions about how we handle advertising or sponsorships on Best-Big-Island-Hawaii.com, please feel free to contact us.